Child Protection Training UK is a UK and International specialist training provider to the Health, Social Care & Education sector. We provide consultancy, project management and training services in the public, voluntary and private sector within the UK, Ireland and Internationally. 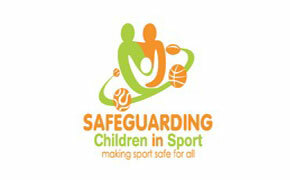 Child Protection Training UK provides high quality Safeguarding Children / Child Protection Training within the UK. We offer Child Protection Awareness Training (Level 1), Child Protection Advanced Training (Level 2) right through to the Designated Safeguarding Lead (DSL) One Day Course (Level 3), our one day Designated Safeguarding Lead Update Course and our Designated Safeguarding Bundle. We have a team of experienced trainers throughout the UK and Ireland who offer a broad range of training and development. We pride ourselves in delivering best-value training of the highest quality , which makes a positive difference both to those who receive it and their clients without breaking the bank. Our Safeguarding Children Education Services Department can assist schools and other organisations in preparation for inspection by Ofsted, the Independent Schools Inspectorate (ISI) or HMI Scotland, in response to the new Inspection Frameworks. Take a look around our website and contact us if you require further information or to discuss you training needs. Why not follow us on Twitter, Facebook, Instagram and YouTube to keep up wiht the latest news and offers.